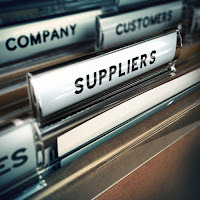 Supplier Relationship Management (SRM) is a hot topic in the procurement world these days, as it gives the corporate buying side increased opportunity for strategic direction. A pivotal stepping stone towards developing an effective SRM program is the inclusion of supplier performance scorecards. Scorecards are put together during the beginning of a contract and/or relationship, and are used throughout the duration of the Agreement to track the supplier’s performance against identified goals, or Key Performance Indicators (KPIs). When used effectively, this tool can bring significant value to both the buying team and its supply base. Scorecards are most beneficial when they align supplier performance with corporate goals. Such goals often include risk reduction and mitigation, as well as identifying and decreasing cost. The buying team can work with the supplier to ensure those goals are turned into KPIs within the scorecard, thus ensuring they are pivotal focus of the supplier/buyer relationship. This kind of proactive management also helps to drive strategic direction. Suppliers who do not meet expectations can be held accountable for under performance and if necessary, receive less opportunity for future business. Suppliers who demonstrate strong performance may be able to gain future business, can be turned into strategic partners, or at a minimum, are able to continue working with the buying team. Since scorecard KPIs often refer back to Agreement terms, this tool also helps to ensure terms that are agreed to are both realistic and understood. It is not uncommon for agreements to be written in favor of the side from which the terms originated. This kind of practice necessitates that the alternate side fully and adequately review all aspects of the contract. By initiating the scorecard conversation during the contracting phase, both sides are inherently forced to speak to essential aspects of the working relationship. Terms that are turned into KPIs and are measured will likely be those that the supplier is most attentive to. Similarly, KPI related conversations can bring out any cause for concern or risk within the supplier’s service offerings, or even mitigate the risk of breach of contract. A third benefit to supplier performance scorecards is that they help strengthen external relationships. Scorecards give the supplier visibility into the buying team’s priorities, which enables them to meet or hopefully exceed those needs. When appropriately implemented, scorecards are used to discuss supplier performance at identified intervals during the duration of the contract, and help to open the floor for conversation. These conversations refer to factual data and help to keep the conversation away from any he-said, she-said blame game. It can also help buyers speak to areas of the relationship that are going well, which is easily overlooked during feedback type conversations. Both sides can be transparent with their strengths and areas of opportunity and then work together to make improvements on both sides, where needed. As discussed, performance scorecards have multiple purposes and benefits for suppliers and buying teams. They are an invaluable tool that allows a corporation visibility into how its supplier relationships contribute to the company’s own performance, and proactively manage any need for revision. Such evaluation inevitably enhances the relationship through increased collaboration and innovation. To learn more about opportunities for supplier performance scorecards or Supplier Relationship Management as a whole, feel free to visit www.sourceoneinc.com.